To address the ever-changing needs of our customers, Driving Nashville offers executive transportation service to our corporate and leisure customers. 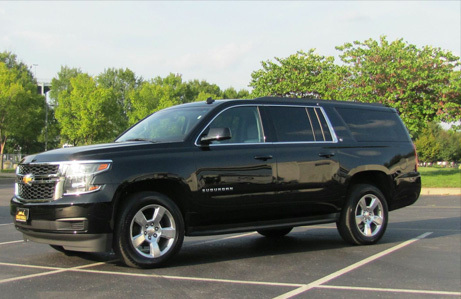 Our executive transportation service offers a superior value at a reasonable rate in every market that we serve. Driving Nashville offers our clients reliable and consistent airport transfer services ensuring an on-time pickup at your home or office and having our chauffeur meet you at the airport when your flight lands. You can depend on Driving Nashville to be there on time, every time. Driving Nashville offers an exceptional value to address your ground transportation requirements. Whether you need to take a client around town, require transportation to/from work, or review notes on your way to a meeting, Driving Nashville has a solution for you. For some of our corporate and leisure customers, having the convenience of a dedicated Chauffeur Service is invaluable. Your dedicated chauffeur will be at your service as you travel from one meeting to another, or want to have the convenience of having the chauffeur standing by when you are on a tight schedule. Our dedicated hourly service in any market provides exceptional value with a peace of mind that you will get to your destination(s) on time, every time. Driving Nashville's Event Coordinators are experts in providing transportation services for any size group in any location around the globe. The Driving Nashville Team will make planning your event seamless. Our seasoned coordinators are experienced in handling any size corporate event, convention or meeting. Whether your group is a Board of Directors, or a major convention, Driving Nashville can handle all of your transportation logistics. Exceeding your expectation is our goal. Please contact our Driving Nashville to book your next major event and experience the Driving Nashville difference. Let the Driving Nashville Team make your Corporate Road Shows successful. Our executive chauffeurs are specifically trained for handling the fast paced, constantly changing environment of corporate road shows. Our reservation personnel are on hand 24 hours a day to assist with any request. We specialize in personal service and will handle all of your requests quickly and efficiently. Our consolidated billing and reporting allows you to close out your accounts quickly once your show is completed. Let Driving Nashville be your partner for Corporate Road Shows.